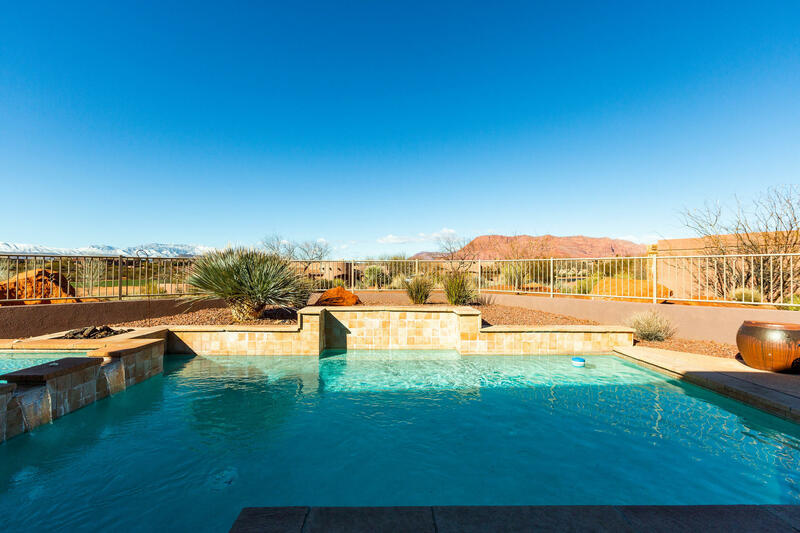 All ANASAZI HILLS AT ENTRADA homes currently listed for sale in St George as of 04/19/2019 are shown below. You can change the search criteria at any time by pressing the 'Change Search' button below. If you have any questions or you would like more information about any St George homes for sale or other St George real estate, please contact us and one of our knowledgeable St George REALTORS® would be pleased to assist you. "Located in Entrada this beautiful 2005 Parade home features an open living plan, gourmet kitchen, pool/hot tub, large covered patio, several fireplaces, Wolf Appliances, views of the golf course. 2 story home w/ elevator to upstairs living. Master suite has a huge walk-closet with custom built-ins, steam shower, jetted tub and heated towel rack. Guest quarters w/bath & kitchenette. Exterior ..."